Northern Lake St. Clair’s Bouvier Bay ice is still holding. There are close to 100 shanties out at 9:00 a.m. today and a few brave souls riding their ATVs. The water on Anchor Bay is completely open. Driving around Lake St. Clair yesterday, only Mitchell’s Bay, Ontario had more ice with shanties out nearly one mile perch fishing. One week ago, the ice was roughly 8″ thick in the channel next to the small grassy island leading into the Raft Bar. 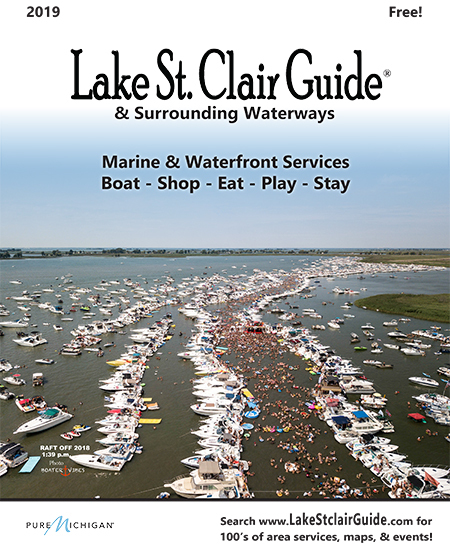 EXTRA “on-shore” PARKING: Just passed the Fair Haven launch ramp (toward Algonac) – The Raft Bar offers parking at $3.00. If you bring your receipt into the bar, you will receive $1.50 off your food or drink purchase. You may also park for FREE another 1/4 mile down from the Raft Bar at the Sunset Bay Restaurant. Their Tiki Bar is open for the ice fishermen & snowmobiler’s too! The owners ask that you stop in and enjoy the warmth and have a cocktail or lunch.